For many people, student loans are unavoidable if they want to go to college. Parents may not be able to fund all (or even part) of your education, and since the cost of college tuition is very high, student loans may be your only option in some circumstances. You may have also heard that the national student loan debt is roughly $1.5 trillion and that individual student loan debts can be crippling. As you consider your options, you may wonder if there is an answer to the question—how much student loan debt is too much? The answer varies for everyone, but you can consider the following information in making this decision for yourself. Certain types of debt have more value than others. Credit card debt, for example, is considered “bad” debt because you really do not get anything out of that type of debt. You may get smaller personal property, like clothes and shoes, but those things do not add value to your overall net worth. “Good” debt, on the other hand, involves things like houses and some vehicles. These items will have value even when you are done using them. They are considered investments, just like your student loan debt. If taking on student loan debt means the difference between going to college or not, the loan itself is an investment. You are investing in your future, which will often increase your earning potential as well. Some parents also see student loans as a way to teach their children the value of their education and ensure that they take their commitment to their future seriously. Studies and anecdotal evidence indicate that when you work for something, you believe that it has more value than if it were handed to you. One of the biggest tips you can use is that you should not take out more in loans than you need. Some students choose to take on more debt because they do not want to work through college or because they want extra spending money. This money will end up costing you much more in the future, so it is crucial to avoid this temptation. If you can, pay the interest that accrues on your loans while you are in school. These amounts are small, but they add up significantly over time. Remember, even your interest will be charged interest, so paying off what you can as it is incurred will keep your debt from multiplying before you even graduate. The most important thing to keep in mind is that you will have to pay your student loans back some day. Read through the information you receive and be aware of your financial commitments. There really is no magic number regarding how much student loan debt is too much. It will depend on your sources of income, the field in which you work, and other personal factors. For example, for someone who has children, being able to repay massive student loan debts may be a struggle compared to those who do not have dependents. Someone who gets a higher-level degree, such as a master’s or Ph.D. will have more student loan debt at the outset, but they are expected to make more money over time. 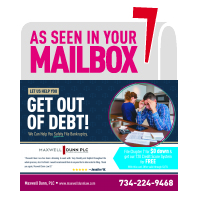 If you are struggling financially, discuss your options with the team at Maxwell Dunn. We might be able to help you find unique solutions to control your debt.